Does Your City Have a Heart? The City of Garland has a heart and its central location is our downtown square. Peter Kageyama has written much on the topic of the emotional attachment to the place where one lives [For the Love of Cities and Love Where You Live are two of his books]. He reasons that when people love and appreciate something, they tend to take better care of it. He is right, we do. About five years ago Peter was the featured speaker at one of our City summits where he made quite an impression on me—so much so that I made sure we put the word “love” in the name of our group when we founded “Loving Garland Green,” the official caretakers of our Garland Community Garden. I was thinking about love of where I live when I went downtown last night to the MillHouse Pizzeria to listen to live music for free. Some cities don’t have an identifiable heart. These cities tend to have an edgy unsettled feeling about them—like a large piece of machinery with gears grinding on in perpetual motion absent of human warmth. Garland, however, has a heart to come to, a central gathering place for the residents of our city and that is our downtown square, a giant welcoming space for many events that bring people together for many purposes formal and informal—from simply providing fun at our outdoor concerts, providing a space for impromptu jam sessions of local musicians, or an expansive outdoor theater for watching movies on the green. The heart of Garland also serves as the center for our local entrepreneurs to sell their wares at monthly and twice monthly events such as our Flea and MarketPlace. Merchants around the square also contribute to the giving spirit of our downtown community heart. 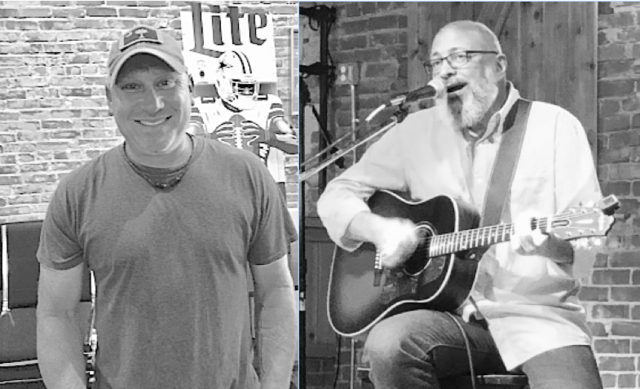 We have Cary Hodson owner of the Intrinsic Smokehouse & Brewery and Chris Ewing of the MillHouse who feature stages for local musicians to do what they love best. We have Rosalind's, a beautiful cozy coffee house and eatery with comfortable couches and chairs in addition to its wooden tables and chairs where people can come and use their WiFi. 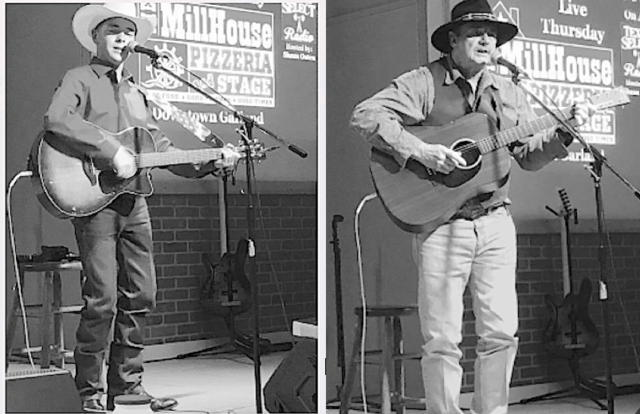 Continuing in the spirit of giving local musicians a stage and an audience, the MillHouse had their second presentation of its Thursday night Back Porch Series sponsored by Texas Select Radio and Shaun Outen, a musician and great singer himself. When Charlie and I got there Duffee was just finishing his set. What we heard sounded great. Those there last night also had the opportunity to listen to Reece Norris a sixteen-year-old talent from Terrell, Texas. Reece has a wonderful and unexpected voice coming from such a young person and his stage presence is very good. He is already marketing himself well as you can see if you visit his Facebook. I would be very surprised if Reece doesn’t make it to Nashville—he has the talent, the audience finesse, and in a couple of years he’ll have the heart throb factor. Darren Rozell, former mayor of Forney, Texas played and sang some lovely tunes for the audience. He has a saying on his Twitter site that reflects his talent and outpouring of music as well: “Music is what feelings sound like.” We also got to hear a little of Shaun Outen’s extreme talent last night. He sang a trio with Reece and Darren—very nice. Shaun Outen, Texas Select Radio Darren Rozell, former mayor of Forney, Texas.